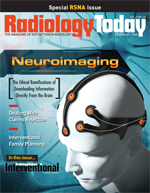 Handling denied claims can be an enormous time drain for imaging departments and facilities. But worse yet, denials can result in delayed and sometimes even lost revenue. There are denials that are unavoidable, and it’s understandable that mistakes will be made, but the key to better denial management is to prevent as many of them as possible in the first place, says Nina Pascucci, a consultant with Beacon Partners, a healthcare management consulting firm in Boston. It’s inevitable that even well-run organizations will deal with denials, and when they do happen, it’s crucial that they are handled properly. While it consumes time, making the effort to correct errors and resubmit claims can restore deserved revenue.